Operation People for Peace has been an advocate for the underserved and underrepresented in the Gulf Coast Region for over two years. On Wednesday, Aug. 26, Hurricane Isaac hit the shores of the states of Mississippi and Louisiana. On Sept. 1, community leaders gave tours to members of Operation People for Peace to show the devastation that Hurricane Isaac had caused in the areas of Pearlington, Miss., and the community of Forrest Heights in Gulfport, Miss. Some residents there whose homes had up to 4 feet of water in them due to Hurricane Isaac had lost their homes during Katrina. 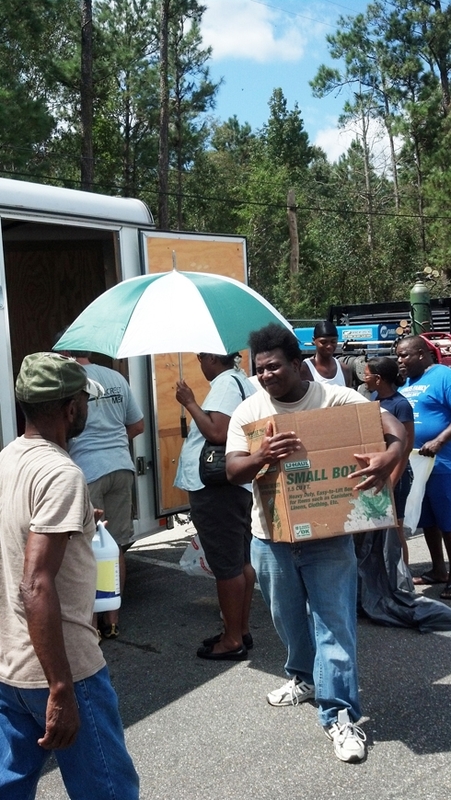 By Sept. 6, Operation People for Peace was able to take a truckload of supplies donated by Hillcrest Baptist Church on East Nine Mile Road in Pensacola, Fla., to Pearlington and Gulfport. Additionally, we visited Plaquemines Parish and LaPlace, La., where the water had finally receded. In these target areas Operation People for Peace and members of Hillcrest Baptist Church passed out cleaning supplies, food and personal items to those in need. LaPlace and Plaquemines Parish in Louisiana are both areas that have been greatly affected by Hurricane Isaac, where water in many places was waist high and thousands of families have had to move in with each other because their homes are unlivable. Operation People for Peace will be visiting the areas affected by Hurricane Isaac for the next six weeks or until they run out of supplies and donations for Isaac victims. If you or any business or church you are a part of would like to donate, please contact us. For more information on Operation People for Peace, visit www.operationpeopleforpeace.org or contact Jessica Donahue, (404) 840-6764. Art Rocker, founder and chair of Operation People for Peace and Florida state chair of SCLC, can be reached at kingart43@aol.com, or on Facebook or via Twitter: @OPPeople4Peace. The natural disaster should be alarmed as early as possible by the government so that the effect of the natural disaster should be minimized, there are many college essay help nyc tips on how to make the wounded people and make them strong in both physically, and mentally.Adequate Foods,cloths,home and heath services should be provided.